8.4-acre resort community with spectacular views of the Gulf of Mexico. 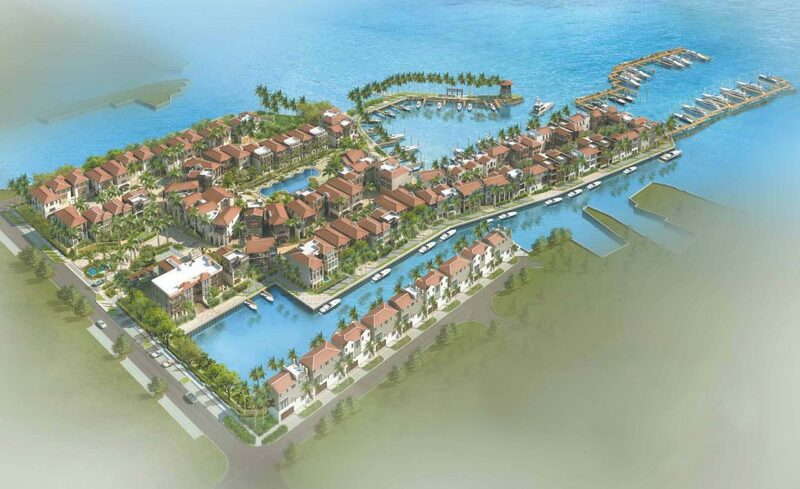 85 luxury single family homes, 115-boat slip marina, 8,700 sq. ft. dockmaster facility, 7,600 sq. ft. clubhouse, 20,000 sq. ft. amenity area and an observation tower. Provided landscape architecture and planning services for the entire project including planting, hardscape, lighting & irrigation. The overall landscape theme is designed to complement the Dutch Caribbean architecture with lush tropical sea-side vegetation. The resort entry is arranged around a water feature and enclosed by a perimeter wall with a decorative metal gate. The elevated amenity area features a large beach-entry lagoon pool, spa and a pool house overlooking the Gulf of Mexico.